Has The Retirement Dream Become More Elusive? A majority of retired Americans recently surveyed by Prudential Financial said that they are living their “dream retirement.” Mass affluent respondents were unsurprisingly the most likely group to say that they are “living the dream” in old age, but even 37 percent of less-affluent retirees said that they are equally pleased with their current standard of living. How were these individuals able to enjoy more than just a financially secure retirement? 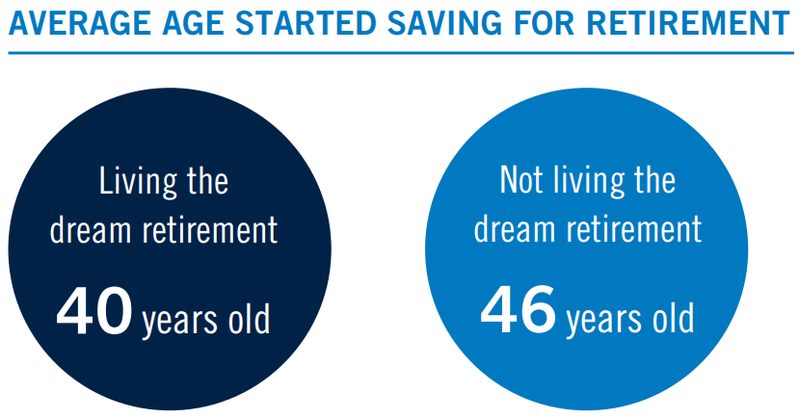 One thing that definitely helped was an early start to their saving, as respondents living their dream retirement were found to have started setting money aside an average of six years sooner than those less content with their old-age lifestyle. Other common financial best-practices shared by satisfied retirees included having diversified sources of income, an understanding of how their money is being invested, and a willingness to work with a professional advisor. With healthcare inflation likely to pick up, a growing need for long-term care, and the potential for lower Social Security payouts in the decades ahead, it is understandable to worry that younger generations could have a harder time achieving a dream retirement. However, many pre-retirees appear aware of the challenges they face, therefore making it more likely that they will start taking the necessary steps sooner rather than later to ensure an ideal retirement lifestyle. Only 70 percent of surveyed Gen-Xers, for instance, said that they expect to receive Social Security benefits when they retire, and just 51 percent of Millennials feel the same. 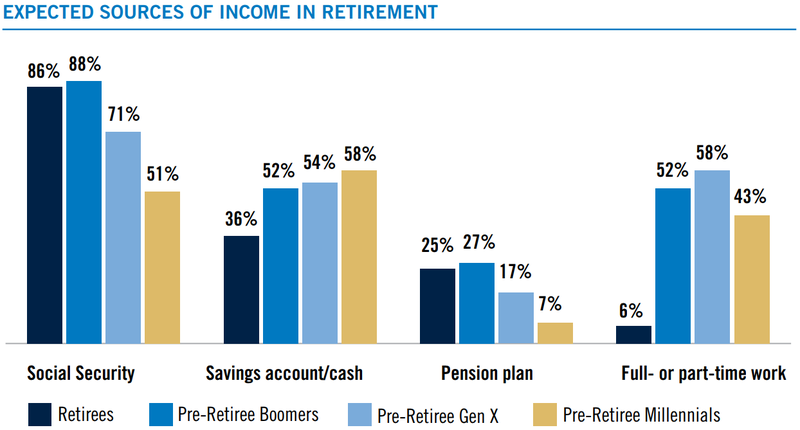 These pre-retirees that recognize they may have to rely less on Social Security and pensions than older generations are encouragingly planning to have more sources of income in retirement than current retirees. Moreover, younger respondents acknowledge that much of their retirement income will be generated from their savings accounts, in turn making a sound investment strategy critical for achieving their old-age financial goals.